Note: Persons with disabilities are those who reported difficulties with daily living activities or who indicated that a physical or mental condition or health problem reduced the kind or amount of activities they do. 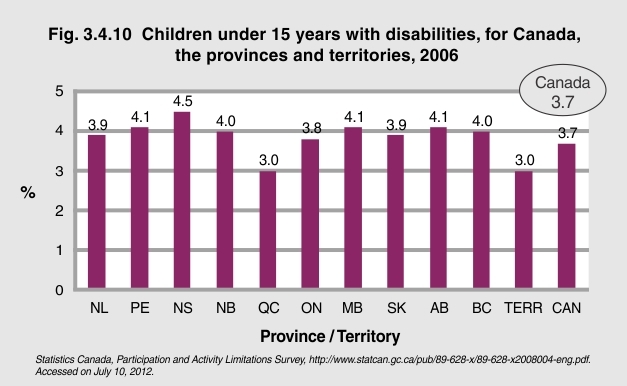 1Participation and Activity Limitation Survey 2006: A Profile of Education for Children with Disabilities in Canada (2008). Statistics Canada. Accessed on May 28, 2012, at http://www.statcan.gc.ca/pub/89-628-x/89-628-x2008004-eng.pdf.